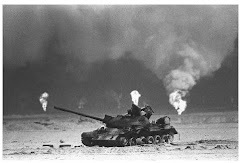 (91outcomes.com) – The U.S. Department of Defense’s Congressionally Directed Medical Research Program (CDMRP) has released a new public briefing that provides an inspiring view of its treatment-focused Gulf War Illness Research Program. The briefing -- first given to those in attendance at the VA Research Advisory Committee on Gulf War Veterans’ Illnesses (RACGWVI) public meeting on June 29 at the VA’s central office in Washington, DC -- provides a unique overview of the groundbreaking program. Delivered by CDMRP director, U.S. Navy Captain Melissa Kaime, M.D., the briefing provides an overview of the CDMRP’s Gulf War Illness Research Program, followed by a history of funding for the program and the balanced portfolio of programs funded through the program. Dr. Anne Louise Oaklander (IIRA), Massachusetts General Hospital -- Undiagnosed Small Fiber Polyneuropathy: Is It a Component of Gulf War Illness? The DoD program is focused on improving the health and lives of Gulf War veterans with Gulf War Illness. It is funded through annual appropriations by Congress. This week, the U.S. House of Representatives is considering whether to fund this program again this year, and if so at what level. In its 2008 study provided to the VA and Congress, the RACGWVI recommended funding at $40 million per year. A recent 91outcomes.com article provided information on how to support this program. 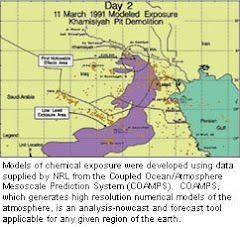 The full June 29, 2010 CDMRP briefing on the DoD’s Gulf War Illness Research Program can be viewed in the 91outcomes.com document archive.